Searching for BPO Jobs 2019? many of the MNC Companies are providing career opportunities in BPO Sector for both Graduates and Post Graduates. There are a different kind of Openings in various departments. These BPO Openings 2019 are grabbing the attention of newly Graduated students as most of the companies do not require any work experience. But here in this article, we are providing the complete list of BPO Careers 2019 for both experienced and freshers. However, this includes Walk in Interview for Freshers 2019 as well as Walk in Jobs for Experienced. Along with these normal openings including last dates and requirements are also available. Just click on each link you will redirected to a page where you can get total information about each available BPO Jobs 2019. BPO authorizes to the corporate executive to focus upon the core business areas. Well, candidates can get the latest and upcoming Call Center Jobs 2019 from this page. Many of the MNC Companies are hiring the suitable candidates in both Voice and Non Voice Process. Business Process Outsourcing is offering a large number of job openings. Those who have good communication skills in the English language will be eligible to attend an interview for the BPO Jobs. Keep visiting our website Freshers Jobs regularly. The BPO Industry has been hyper growth from the past few years. At present situations, the BPO Jobs is a constant growth rate also the BPO field is better than other companies. Especially youth are showing their interest in the Call Center Jobs (Voice, Non Voice Jobs). Candidates can get an attractive salary package and the Business Process Outsourcing is a tensionless job. Those who hate coding session can make their bright future in BPO Sector. Call Centers in India offers better salary package for the contenders those who have selected. All the freshers, as well as experienced candidates, are right now busy in finding the latest BPO Jobs on the Internet. But no one cant find the accurate information related to Call Center Jobs (Voice, Non Voice Jobs). For those people, we have tried our best and collected the details from different sources and shared in this article. Through this page, aspirants will get the latest job openings in BPO field. BPO is usually classified as back office outsourcing, which involves internal business functions like human resources or finance and accounting, and front office outsourcing, which build customer-related services such as contact centre services. Generally, the business processes are IT (information technology) based also referred as ITES-BPO. The ITES stands for Information Technology Enabled Service. Knowledge process outsourcing (KPO) and legal process outsourcing (LPO) are some of the segments of the business process outsourcing industry. Contenders are you jobless and didn’t have much percentage on Graduation and post graduation then no need to worry because this is the exact place for the people those who are jobless. With the help of BPO Jobs 2019 the aspirants can easily earn the money in a simple way. But also the competition for Call Center Jobs (Voice, Non Voice Jobs) is too heavy. Because all the people are trying to get a job in the Business Process Outsourcing. Well, many people think that there won’t be any career growth if they work in Call Center Jobs (Voice, Non Voice Jobs). But your way of thinking is totally wrong there are many career opportunities for the candidates who are working under the BPO Jobs. The work environment of the Call Center Jobs is really world class. Also, the Call Centers expect communication skills from the candidates. Those who have good fluency in English have a great future in the BPO field. At present, Call Centers are preferring the freshers and experienced candidates. Eligible and interested people don’t miss the valuable job BPO Job Openings 2019. If you are willing to apply for BPO Openings 2019 then check this post day to day. Because We update this page regularly by providing the latest BPO Voice Jobs as well as BPO Non Voice Jobs. 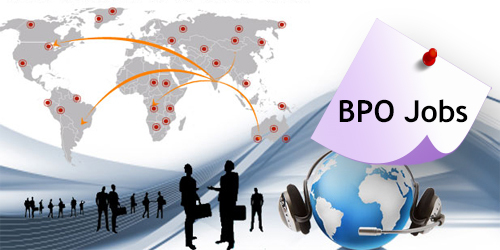 There is a great demand for the BPO Jobs In India. One of the booming industry in our country is Call Centers. The Call Centers give the training for the newly joined people along with how to contract or contact with customers. The main benefit of any BPO is the way in which it helps increase a company’s flexibility. Before starting your process once check the eligibility criteria details such as education qualification, qualification, eligibility to apply etc. Fresher candidates try to improve their communication skills in order to get a chance to work in BPO Industry. We suggest to the contenders need to stay connect with this page and enjoy the latest updates. Visit our website to get the IT Jobs by qualification wise and location wise.